Job applications are the mediums by which a person seeks to apply for a job they wish to work in. Job applications are the letters through which a prospective applicant desires to show his/her intention, interest, and willingness to the recruiter about being a part of the organization where he/she wish to apply for. They allow the recruiter to analyze each applicant by merit by looking at the respective Job Application Forms sent by them. 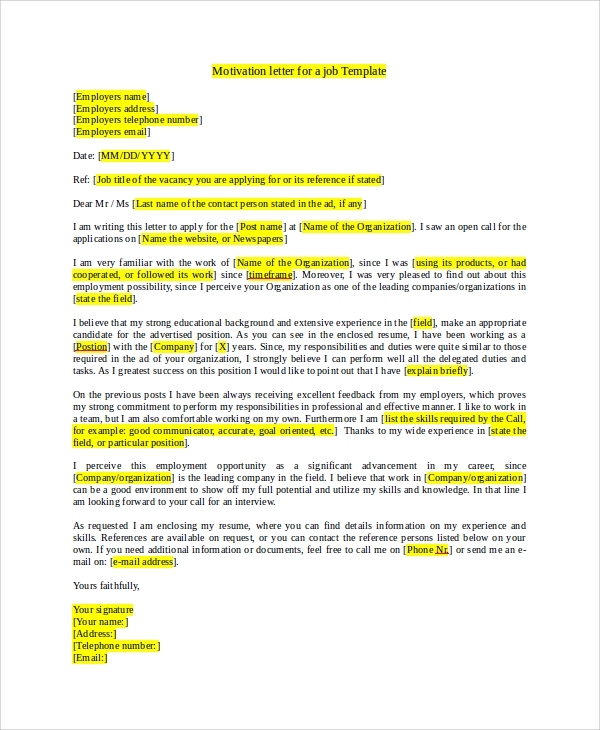 The following lists various type of sample cover letters that you take a look at to get reference or ideas from. 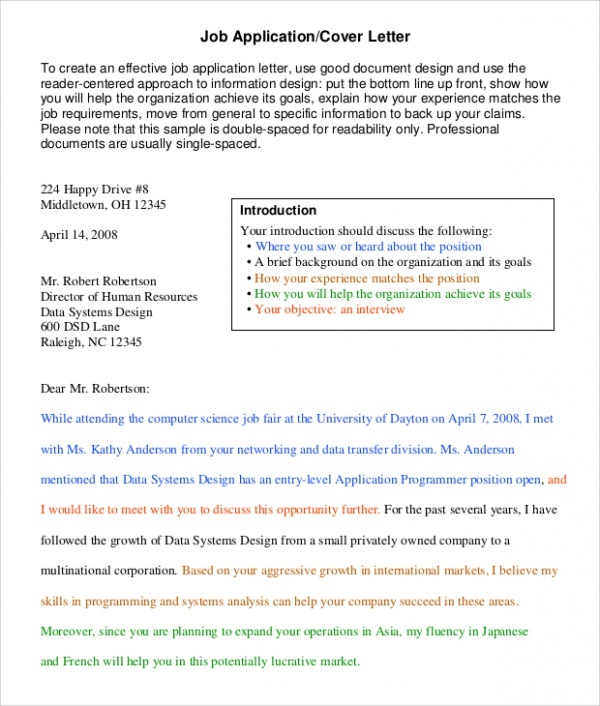 An effective cover letter sets the tone for a good job application. 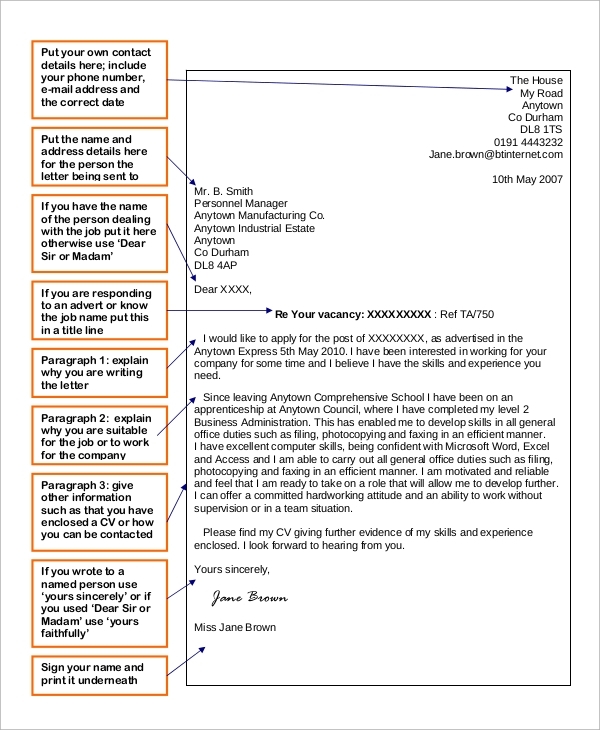 Cover letters are written as an introduction to the resume you have sent enclosed with the letter. A good cover letter is written from the reader’s point of view, putting oneself in the shoes of the recruiter. The letter should substantiate and back up the claims made in the resume by talking about your qualifications and experiences in some detail. In today’s age, job applications are usually sent through email to save time and money. 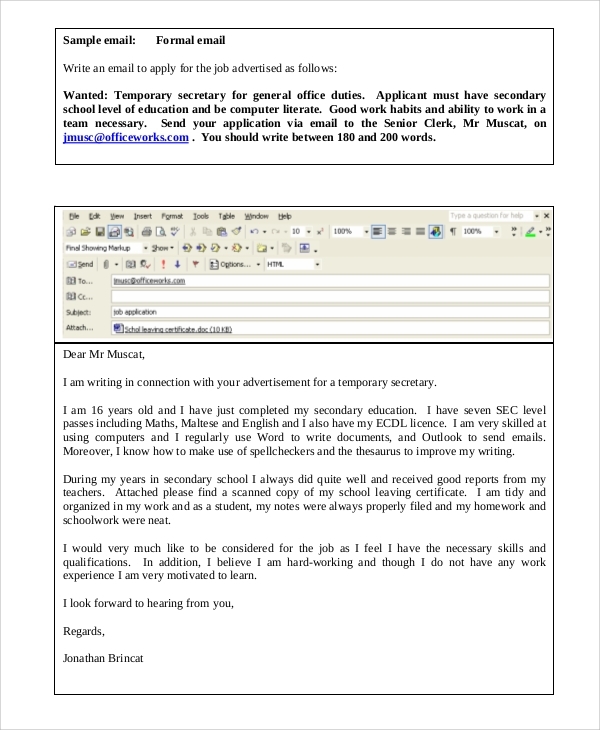 A cover letter is sent in the body of the email with the resume or CV being attached to the email (preferably) as a Word document. The cover letter is written as it should be written to be sent by mail. The focus should always be on the reader’s point of view and the objective of getting an opportunity for an interview. A job application form is a form that is sometimes issued by a firm to fill up vacancies with casual or part-time employees. These forms are given to the interested applicants who then fill in the blanks with the information they have been asked for in the form. 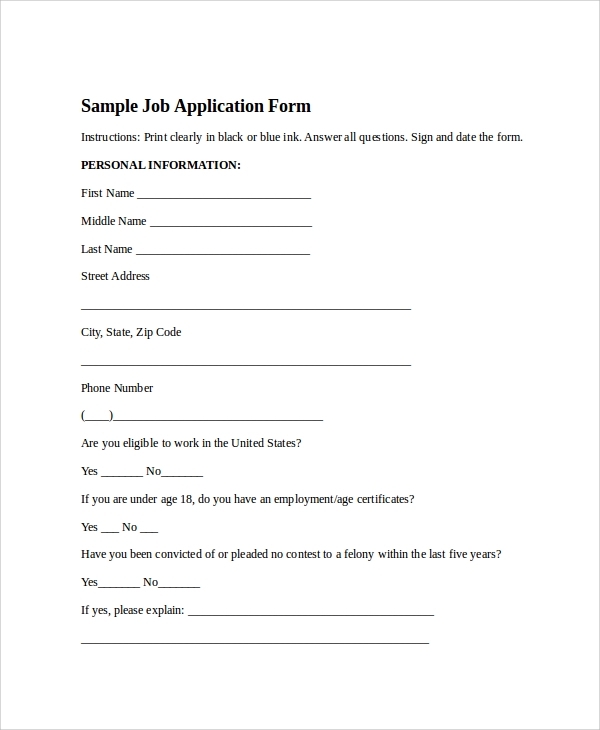 Job application forms are a quick way of finding employees by an organization. A thank you letter or a follow-up letter is a letter that is sent about twenty-four to forty-eight hours after the interview is over. 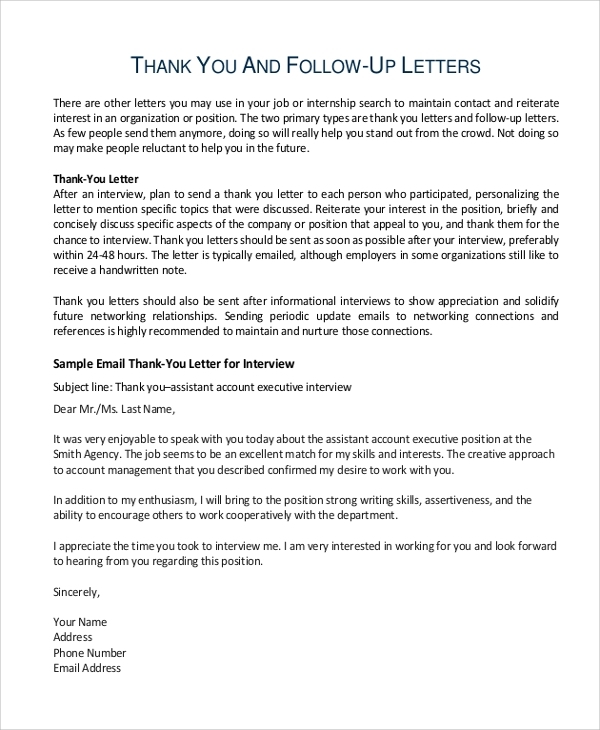 Such a letter can be sent by email as well, thanking the recruiter for offering an interview to the applicant. The applicant should continue to show interest in the position they have applied for and thank the recruiter again while concluding. Normally, a resume accompanies the cover letter when sending in a job application to the recruiter. The resume should state the applicant’s objective and aptitude, the qualifications and the experiences of the applicant. In brief, the resume should act as a companion piece to the cover letter of the job application. The sample job application templates are aimed at those individuals who wish to apply for a job and want to be selected by the recruiters of the firm where they have applied. The listed sample job application templates will help prospective applicants to frame good job applications to get recruited. 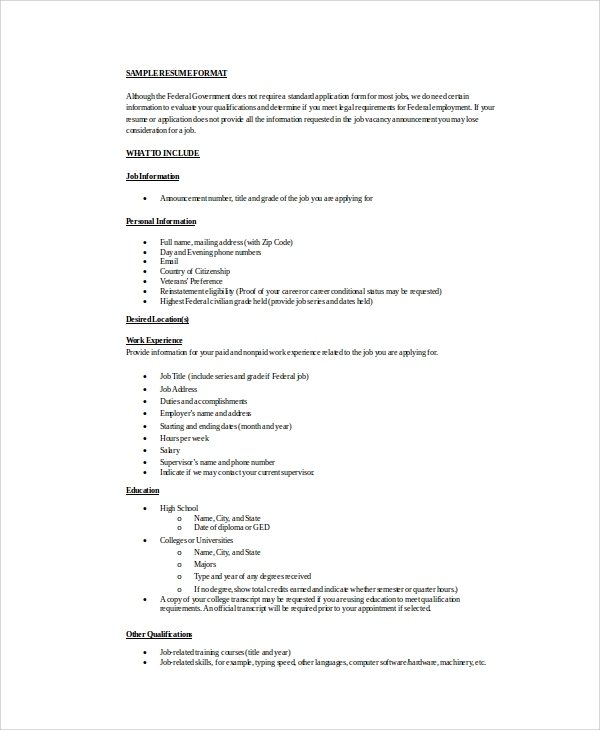 You may also see the Sample Target Job Applications. We have a large variety of example cover letters from which you can choose the one that appeals to you and use it as a basis for creating your cover letter that will get you the job you always wanted to have. All it takes is just a sense of empathy and the power of the pen.